My "Minnies" are now 12 years old! I can hardly believe what little ladies they have become. Gone are the days of matching smocked or monogrammed dresses, but I love the personal style that my girls have. Unfortunately, almost nothing at Lilly Pulitzer fits them. I used the buy the entire collection times two, but the children's XL is way too small and the women's XS is often too big. They can wear some size 00 Callahan shorts, but in the winter, the sleeves and torso on the XS tops are just too big. And the inseam of the pants on a size 00 is ridiculous for my petite 12 year olds. They've been shopping a lot at J. Crew both in the ladies and Crewcuts sections. Zara children's and ladies is another favorite. Nordstrom's junior section is a treasure and they can still wear many children's brands at Nordstrom, too. Look how adorable the dressing room is at Nordstrom in the teen department! 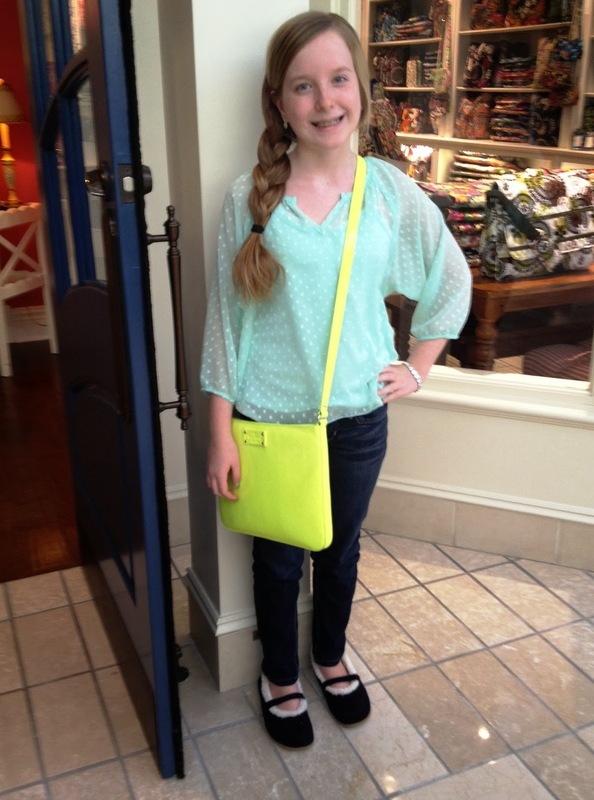 I'll feature some of the girls' outfits of the day that may inspire you or your favorite tween at home. Here's Natalia with some new goodies she got for Christmas. The middle school set wants comfort. My girls live in their UGG boots during the cold weather months, but also love moccassins and other comfortable shoes. You may remember that I raved about my Daniel Green slippers a while ago. Well Natalia liked my slippers so much that Santa brought her a pair of slippers for herself. 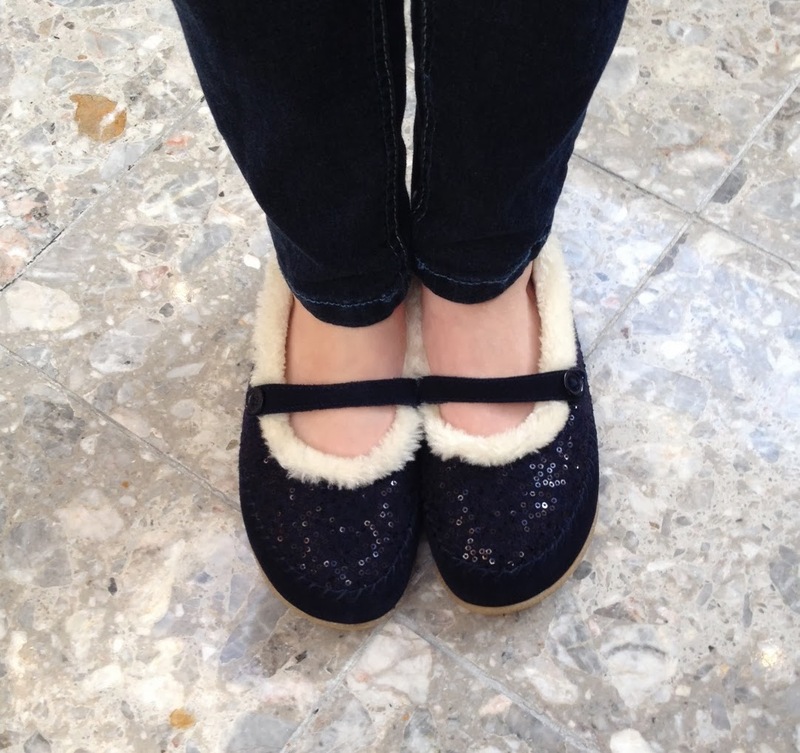 The Teagan Slipper is a Mary Jane style shoe with sequins that can be worn both indoors and outdoors. Natalia has been trying out different hair styles lately. Here's a twist that she created herself.